The rural communities surrounding the city of Matagalpa have been severely deforested. This is mostly due to agriculture, livestock and the constant demand for firewood. We work with rural families to plan annual reforestation campaigns during the rainy season, from May through October. We work with families to identify critical areas for reforestation and offer them a variety of fruit trees and other indigenous species. Our priority is to plant as many fruit trees as possible, to contribute to future food security. 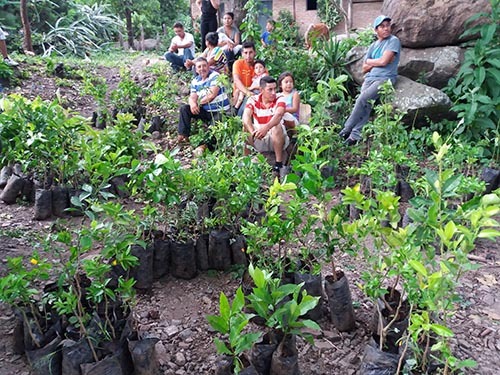 Reforestation efforts not only provide a source of food, they also protect local water sources and improve soil quality.